This study aimed to investigate the probiotic potential of lactic acid bacteria (LAB) strains isolated from De’ang pickled tea, a traditional food consumed by the De’ang nationality of Yunnan, China. Twenty-six LAB strains isolated from De’ang pickled tea were subjected to identification based on 16S rRNA gene sequence analysis. Twenty-four belonged to Lactobacillus plantarum, one belonged to Enterococcus casseliflavus, and one belonged to Lactobacillus acidophilus. Eighteen out of 26 LAB strains which showed a higher capability to tolerate simulated gastrointestinal juices were chosen to further evaluate their probiotic properties. Varied adhesive abilities and auto-aggregative capacities of selected LAB strains were dependent on species and even strains. All tested LAB strains were resistant to kanamycin, streptomycin, gentamycin, and vancomycin and sensitive to tetracycline and chloramphenicol. Ten out of the 18 strains are resistant to ampicillin, and the remaining strains are sensitive to ampicillin; 4 out of the 18 strains showed resistance to erythromycin. Compared to reference strain Lactobacillus rhamnosus strain GG, these LAB strains had a greater or comparative antimicrobial activity against Salmonella typhimurium or Escherichia coli. In contrast, eight out of the 18 strains suppressed growth of Shigella flexneri. 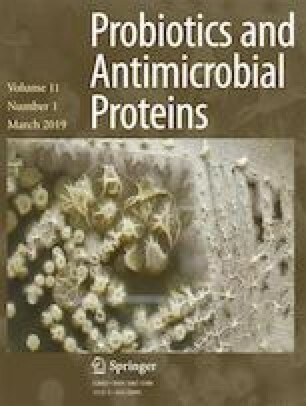 Two L. plantarum strains, ST and STDA10, not only exhibited good probiotic properties but also showed a good ability of scavenging DPPH and ABTS+. This study suggests that L. plantarum ST and STDA10 could be used as potential probiotics applied in functional foods. Zhenhui Cao and Hongbin Pan contributed equally to this work. The online version of this article ( https://doi.org/10.1007/s12602-018-9395-x) contains supplementary material, which is available to authorized users. This study was supported by the National Natural Science Foundation of China (Grant No. 31501496 and 31760448) and Applied Basic Research Projects of Yunnan Province (Grant No. 2017FB064).